Mix all ingredients together, except for the second 1/4 cup of Coconut (save that for the end to roll the cookie in). 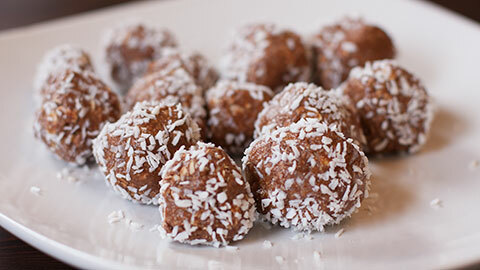 Shape into balls, roll in the shredded coconut and store in an air-tight container in the fridge. 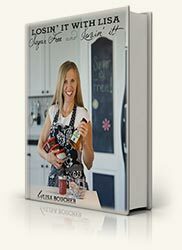 For more sugar free recipes like this try Lisa's Cookbook Sugar Free and Lovin' It!